We’d love your help. 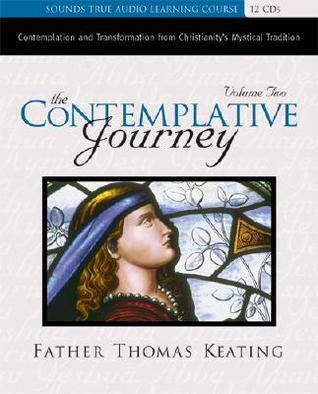 Let us know what’s wrong with this preview of The Contemplative Journey by Thomas Keating. To ask other readers questions about The Contemplative Journey, please sign up. Some good advice here and there, but most of it is post-vatican II psychoanalytic roo-rah. With rarely a trace of orthodoxy left, Keating seems to believe that Jesus was a wisdom teacher whose sole purpose was to lead us in eliminating the negative unconscious emotions that trap us from making good, sturdy choices. The scandal of the Gospel becomes nothing but an attempt to soothe our anxious little lives. I didn't realize when I got this that it was essentially a live conference presentation of the same material that makes up the book "An Invitation to Love". Overall the book was more polished and more eloquent, but if you want an audiobook version of that book I think this is the closest thing available. Part 1 of 2, Father Keating teaches what contemplation is, its benefits, and the psychology as well as the spirituality of its importance. Keating entered the Cistercian Order in Valley Falls, Rhode Island in January, 1944. He was appointed Superior of St. Benedict's Monastery, Snowmass, Colorado in 1958, and was elected abbot of St. Joseph's Abbey, Spencer, Massachusetts in 1961. He returned to Snowmass after retiring as abbot of Spencer in 1981, where he established a program of ten-day intensive retreats in the practice of Centeri Keating entered the Cistercian Order in Valley Falls, Rhode Island in January, 1944. He was appointed Superior of St. Benedict's Monastery, Snowmass, Colorado in 1958, and was elected abbot of St. Joseph's Abbey, Spencer, Massachusetts in 1961. He returned to Snowmass after retiring as abbot of Spencer in 1981, where he established a program of ten-day intensive retreats in the practice of Centering Prayer, a contemporary form of the Christian contemplative tradition. He is one of three architects of Centering Prayer, a contemporary method of contemplative prayer, that emerged from St. Joseph's Abbey in 1975. Frs. William Menninger and Basil Pennington, also Cistercian monks, were the other architects. n 1984, Fr. 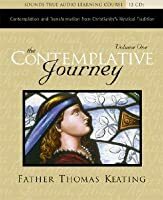 Thomas Keating along with Gustave Reininger and Edward Bednar, co-founded Contemplative Outreach, Ltd., an international, ecumenical spiritual network that teaches the practice of Centering Prayer and Lectio Divina, a method of prayer drawn from the Christian contemplative tradition. Contemplative Outreach provides a support system for those on the contemplative path through a wide variety of resources, workshops, and retreats.